The St Stephen's day tussle with Aston Villa was livened up by the vision of Alex Song sporting a pair of colourful goggles. However, in all the banter about Andy Carroll's new braided haircrime, Messr Song has not quite generated the attention he might have expected. Is it a Barca thing? There has, however, been some speculation as to the source of his new 'look'. Some quarters have suggested that he is continuing the tradition set by Former Ajax, Barcelona and Tottenham midfielder Edgar Davids, who wore the goggles to protect his glaucoma-affected sensitive eyes. 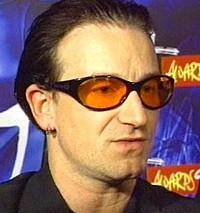 Song seems to have dittched the goggs already, suggesting that they may be more fashion than medicinal in purpose, raising questions as to his position on the Bono-U2 cool or twats debate that has divided music followers for decades. However, here at VERYWESTHAM we can reveal that, in all likelihood, Alex has simply been taken up by the Star wars fascination that is sweeping West Ham. While Karren Brady is said to be obsessed with her likeness to Princess Leia, Alex is much more taken with the most interesting of all the new characters from the Force Awakens, namely Maz Kanata - the ancient space pirate who runs a watering hole in a castle on the planet Takodana. Let's hope that Alex's performances lead to West Ham erecting a statue of him in front of the Olympic Stadium, just lime Maz has at her abode in the film. That failing, let's hope he doesn't end up at mighty Barnet just like Edgar Davids! This is something I never knew before. Thank you for providing this information.